Using your keyword term as the first word in your page title is closely related with page rankings. For example, if your company deals in car accessories, the first word of the title should be car accessories. It’s best to keep the title short; limit it to 70 characters as this is what the search engines display on search results. These are tags used by the search engines to provide small preview snippets for any given page. Use your keywords in the Meta description; this helps ‘bold’ the words in the visual snippet of search results. While meta descriptions don’t generally impact page ranking on a search engine, they do have an impact on the click-through rate. When it comes to rankings on the SERPs it’s far better to have a shorter URL. Use your keywords as sub-folders and pages in your URL instead of sub-domains. This is primarily because search engines have changed their algorithms to make sub-domains even less relevant as they were being widely abused. The keyword density you use also make a big difference on your URL. For instance- a.com/shoes will rank hire than abc.com/shoes, if shoes in your keyword. This is because shoes takes up a much higher percentage of your URL in the former example and this causes it to have a positive effect on the ranking for that particular keyword. This refers to the total number of times your keyword shows up in every 100 words of content on your site. In the case of smaller web pages, the keyword density should be in the 2% or 2 keywords for every 100 words; however, for lengthier pages, you would to need to maintain a keyword density of 4%. Make sure that the keywords are positioned within the first 50-100 words of the page or earlier. Be wary of using excessive keywords; that only results in keyword stuffing and can have a negative impact on your ranking. Good content is always interesting, attractive, compelling and shareable and should be linkable as well. Readers should link to the content which will lead to the search engines ranking it better. Any descriptions that show up in the “Alt Attribute” have a very strong connect to improved search results. It is a good idea to include at least one copyright-free image on each page; the keyword and the content should be included in every Alt attribute of your IMG tag. 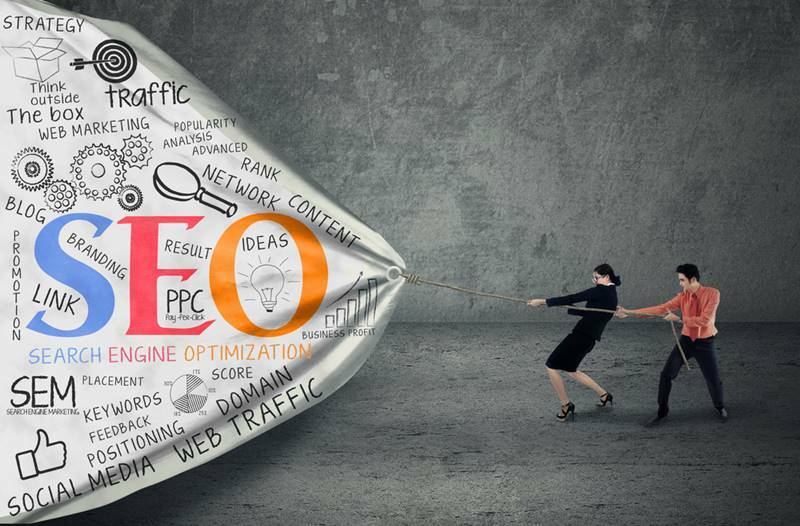 While having a well-designed, SEO optimised and well-coded site is important, you also need to have a solid marketing strategy in place. Hire an online marketing expert to handle this aspect of your marketing campaign for you; they will use various advertising tools both paid and unpaid to attract more links to the content. For excellent responsive web design, custom or template sites, sales process support, CRM automation and results driven online marketing strategies, feel free to connect with Digital Canteen at this number – 02-9025-4304. You can also send us your project details and requirements via this online form and our experts will call you shortly to discuss your project details.